Hello there you gorgeous humans! You know by now what a massive fan of Bourjois foundations I am, I’m lucky to have a good streak with their base products. So today I am reviewing another one for you. Now I’ve loved (and reviewed) the previous healthy mix foundation – the old formula (I’m not talking about the serum formula I mean the previous healthy mix foundation & I loved that one). So I thoughts it’s only fitting to talk about the brand new formula that was launched last year. So if you are keen to hear my thoughts, keep reading. What are the claims of this foundation? It includes Vitamin C, E and B5. It’s a hydrating skincare formula and helps boosts skin’s radiance and regenerating action. It also helps to cover up signs of fatigue like dark circles. Does it deliver on these claims? It’s definitely an incredibly hydrating formula. It gives the skin a very natural radiance and does cover up everything it needs to cover up. I’m always happy with how my skin looks when I wear this foundation. Coverage: It gives you medium coverage, no more than that. Skin types appropriate for this foundation: I’d say this foundation would be good for normal – dehydrated/dry skin. I do have an oily t-zone but I still find this foundation works well for me. What are the undertones of this foundation? Bourjois foundations are known for having yellow undertones. Now this works for me as my skin has yellow undertones so I never find it an issue to find a shade that matches. But if yellow-toned foundations don’t work for you than you might not find a good shade. Longevity: I find this foundation lasts very well on me. I don’t notice any below average longevity from this foundation. I do set it with powder and use a setting spray as well – so those 2 factors could play a role in boosting longevity. Of course the oilier your skin is the less longevity it may have. Application: This foundation is quite easy to apply, it blends out nicely and sits on the skin well. I apply it with a flat-top or domed shaped synthetic foundation brush and then I go in with a beauty blender and further blend it out! I do this technique with every foundation I apply. Packaging: It comes in a rectangular glass bottle with a pump. Formula: The formula is super hydrating and glides onto the skin. It doesn’t feel heavy and it doesn’t cake up. It has a natural finish – not matte & not dewy either. It’s not thick in consistency but it isn’t watery, it melts into the skin as soon as you begin to blend it. Pros: Easy to apply, hydrating, always looks good on the skin, has decent coverage for every day. The yellow tones allow it to match my skin well. I just find it easy to work with and it looks good every time I wear it! It’s also a fair price point for a foundation. Cons: I do not have any complaints about this foundation whatsoever. I am a little … by that I mean A LOT – obsessed with it! Though the foundation being quite yellow toned may draw a few complaints from others. Its also not going to be massively long lasting on those with very oily skin. Shade range: 6 shades are available on Priceline, there are 15 shades on feel uniqe. How much product are you given? : You get 30 ml of product. Overall thoughts: Any foundation that can give me great skin … each time I wear it, it is good in my books. I feel like I can always rely on this foundation & I won’t have a bad foundation day. It is the perfect everyday foundation in my eyes and I just can’t get over it! I’m glad they made the new formula of the healthy mix even better. This gets two thumbs up from me! Would I repurchase this? : Hell yes! And that wraps up this review! Have you guys tried this Bourjois foundation or any other foundation from Bourjois? Drop a comment and let’s have a chat! I hope you guys have a wonderful day and I’ll see you in the next post! I haven’t try this only the serum version. This review makes me want to revisit this brand. I have loved every foundation I’ve tried from them. This is like the serum version only more coverage, medium-ish. It’s the perfect everyday foundation! Their isn’t a massive difference between the two formulas (I loved the original formula) & I also love this formula. But I know a few who hated the original formula but love this formula. It’s honestly the perfect everyday base. I am going to have to pick this up very soon, it has been on my wish list for such a long time! I Highly recommend this foundation! It’s the perfect everyday base. They’ve since reformulated it since the original one and it’s even better! This seems like such a great every day summer foundation – the fact that it doesn’t feel to heavy on the skin! It really is. I wouldn’t call it super long lasting but with a good primer, some setting powder and a setting spray – any foundation can last better with those 3 things. Their foundations are definitely hydrating! I’ve loved every foundation from them that i’ve tried! 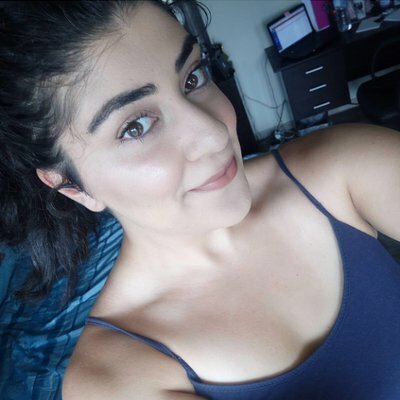 I used this foundation before but for me I found it gave me so many spots so i stopped using it.. but i think my skin only likes the body shop foundation because if i use anything else i come up in stops – but thanks for sharing this post! i may give it another try 🙂 its so afforable! That’s unfortunate but our skin can be so temperamental, the simplest things can set it off. I haven’t tried any body shop makeup except for the honey bronzer, I need to try more of their makeup. Bourjois make my favourite foundations, I’m yet to find a foundation from them I hate. I like that this is lightweight and medium coverage!! Think I really need to try get a tester of this! I highly recommend this foundation, it’s the perfect everyday base. It’s the ultimate everyday foundation! i absolutely love this foundation ! it’s an oldie but goodie to me ! Oh this is one of the only drugstore foundations I have in my collection, and everytime I wear it, I absolutely love it!! I must dig it out again!! Bourjois make incredible foundations, I picked up the healthy mix BB cream today and I can’t wait to play with it!